New Year 2018 has started, and one recent normal looking happening made me vision about one thing that I want to see improved this year. Parenting is achieving horizons of both the poles. Mothers, working, managing family and offices, are trying their best to prove themselves as a balance maker. One pole is family where you need mammoth of patience and sweet talks to manage scenes. The other pole, work, needs being strict with deadlines, commitments and your own goals. As a working mother, I expect some help from people around me as sometimes my two hands seem not sufficient to carry on with my double roles. And when people fail me, I feel we still are far behind in understanding words compassion and consideration. 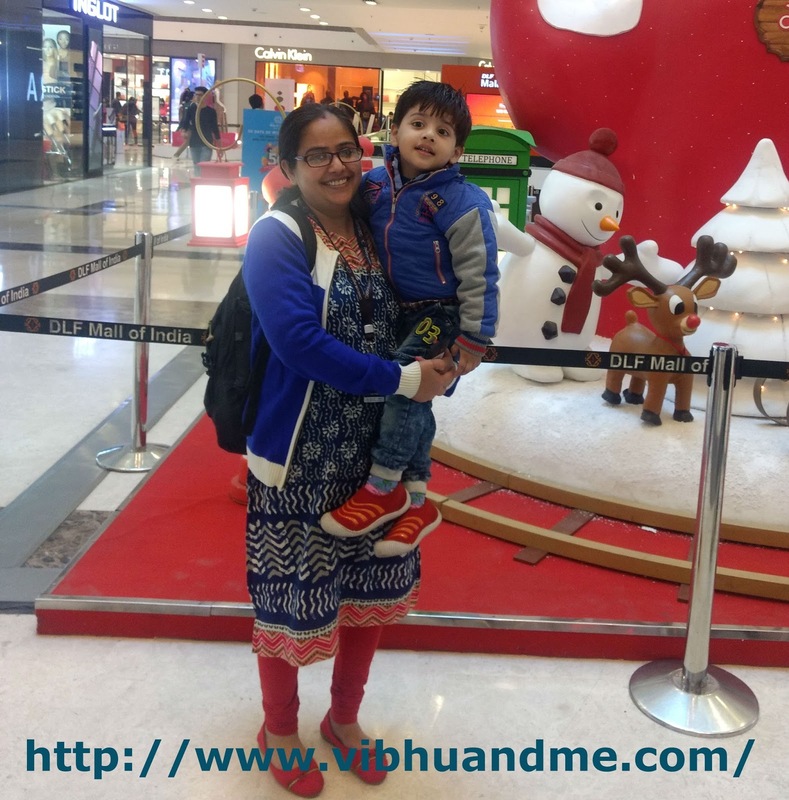 I take my son with me to office as my office also provides a daycare for women employees. Every other day, my boy sleeps during the bus ride and when office bus finally reaches the destination, I need to carry three heavy things. My 3-year-old son, his diaper bag and my office-laptop bag. So every day, one of my good friends, Saumya, carries one bag, and I carry my son and the other bag. Saumya opens office door for me and lets me enter the building. Some unusual days, office guard notices me coming and he comes forward to open the door for me. Sadly, during some strange days, when Saumya doesn't come, I find it difficult to manage till the office cafeteria. Both my hands get occupied in carrying both the bags and my son. Thus, I struggle those days and somehow manage to be inside the cafeteria. This year, hold the door for strollers, pregnant woman and small children. Whenever you see a mother holding her child in arms and also the shopping bucket, offer help. In the queue, play peek a boo with the kid who is about to throw tantrums. Tell a mother, when you find her multitasking, that she is doing a good job. Compliment her child. Or let her know she is not alone, whether with words or with a smile. Offer struggling mothers help. Engage kids for some time and let parents take a breath of relief. Postpartum depression is one such thing that makes mothers very lonely and sentimental. So, visit new mothers or talk to them on phone. Offer her your company for a salon visit. Be with her for grocery shopping. And carry her child for some time until she is done with her food. It takes a village to raise a child. But being members of this village, people should understand that raising these tiny souls is exhausting and mind-blowing. People who are parents already can clearly relate to the plot. Hence I expect them to be more supportive towards new parents anyway. However, those who are still to join the parent community, all I can say, that one day down the line you will definitely understand that opening the door for someone in need really makes a difference. Show some kindness for multitasking mothers. They may not say it loud but they need your help. It just takes a moment and you can turn around someone’s day. Your posts are so regular yet so powerful. This is so needed. Empathy and compassion make us better people. I'll be sure to put these to practise. All it takes it takes is a few seconds or minutes but people somehow seem to be really caught up with their lives. While we look forward to someone being empathetic, I also think it is okay to ask for help. Parenthood is overwhelming and we could do with many hands to make it easier. Love "This year, hold the door for strollers, pregnant woman and small children" small gestures go a long way! I remember from the time I was pregnant that most people were super courteous and accommodating. I was so happy to see that. Yes generally it would help if people were more considerate towards each other in general.. starting with us too. Its strange that while the people around are very accommodating to an expecting mother, all the concern and good will vanishes once the child arrives. Only what stays is judgement. Public places like airports, malls etc are a best example of how mothers of young kids are looked down upon. Normally I have seen people helpful and understanding to a pregnant lady. But as a mom even I have felt that there are more onlookers than helpers.